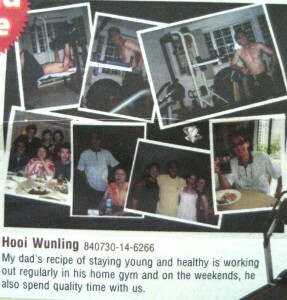 By Hooi Wunling: My dad’s recipe of staying young and healthy is working out regularly in his home gym and on the weekends, he also spend quality time with us. By Chen Li Ling: My children’s dad used to fight tigers in his heyday. Now that he is older, his doctor said “Go Slow”. He takes brisk walks now and joins his friends “Lion Dancing”. 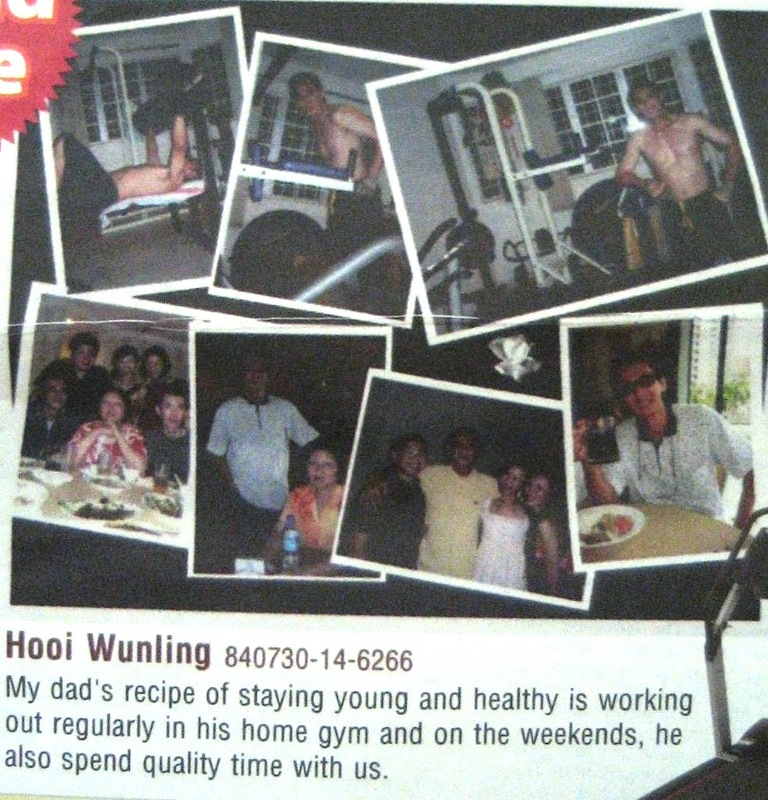 By Abdul Rauf Aqila Liyana: Dad’s forever young and healthy secret is out.. fruits, vegetables, have small frequent meals, don’t skip meals and most importantly, EXERCISE-sorry, no shortcuts! 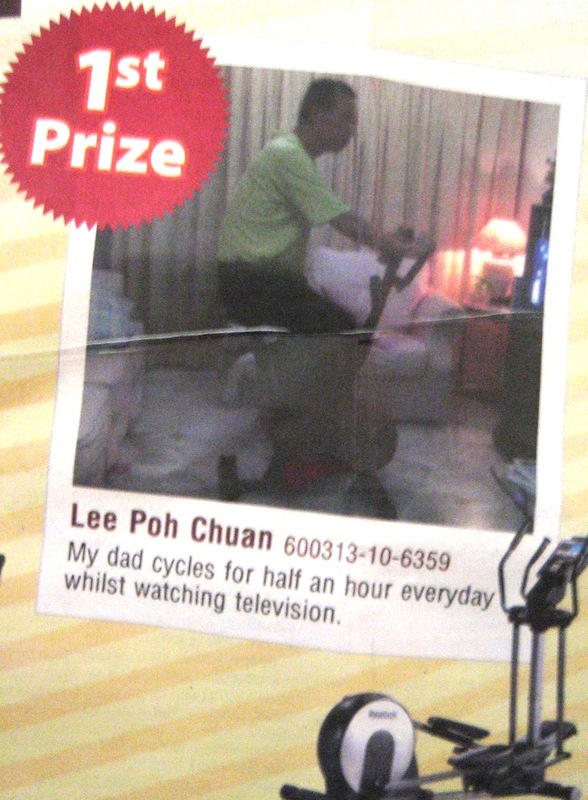 By Henry Chong: My dad is 70+ years old. He believes in Simplicity and says Healthy lifestyle begins from Home, good Home food and EXERCISE at Home! In front of a good TV programme! By Chow Yinyin: Dad will jog at least 5km everyday to say healthy and fit. He loves to sweat as he will feel more energetic after that. Dad, you are forever young in my heart! 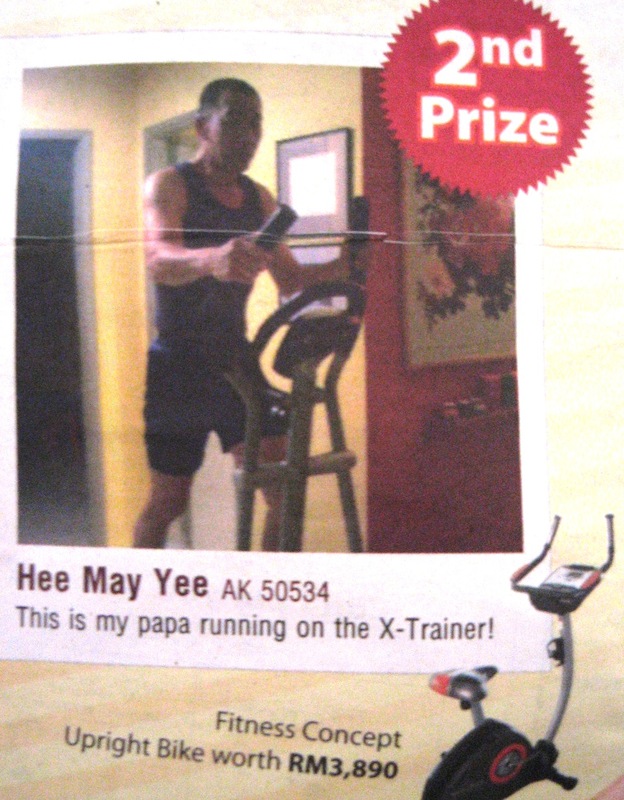 By Wendy Tan: Happy go lucky my dad is, exercise regime he will never miss! By Kim Choong Keat: A different way how daddy keeps young. Planting at a greenly area far from town with fresh air everywhere. 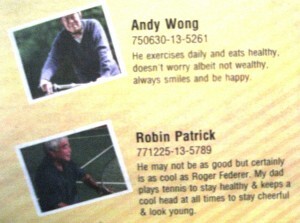 By Andy Wong: He exercises daily and eats healthly, doesn’t worry albert not wealthy, always smiles and be happy. By Robin Patrick: He may not be as good but certainly is as cool as Roger Federer. My dad plays tennis to stay healthy & keeps a cool head at all times to stay cheerful & look young. Feeling Tired, Stomach Pains and Black Stools: Could it be a stomach bacteria?